Paul Newberry aged 57 years passed away at the University of Alberta Hospital on Thursday, January 17, 2019 with his family by his side. He leaves to cherish his memory Tracy Lamontagne, his daughter Stevie Lee and her children Branden and Aliyah, son Riley, daughter Eden, Tracy’s daughter Meghan and her daughter Dallas & Tracy’s sons Logan and Jordon. Also surviving is his sister Kim (Doug), brother Brian (Amy), parents Frank and Joan Newberry as well as numerous nieces, nephews, relatives and friends. Paul was predeceased by brothers Donald, Stephen and a sister Brenda. Paul was a very hardworking man and not very often did his illness keep him down. He continued to battle regardless of the obstacle. He was gifted in many areas. He loved playing the guitar and had taught many students over the years. He especially loved woodworking and handcrafted furniture and other items which are proudly displayed throughout his house. 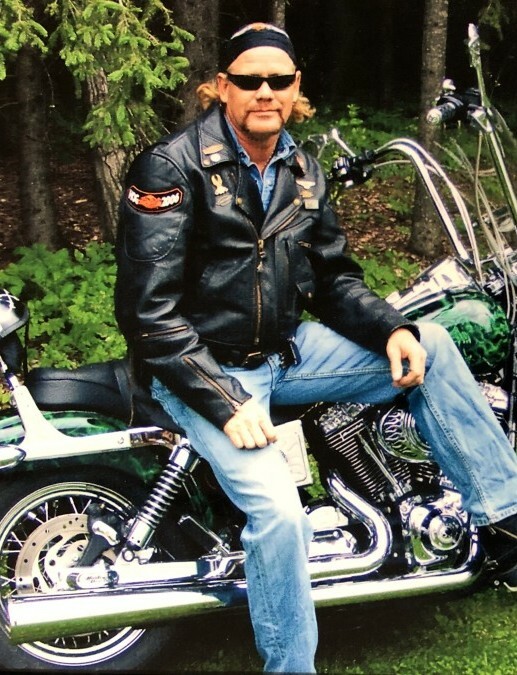 He loved his customized Harley Davidson and felt free when riding it. He was looking forward to riding this summer. A gathering of Family and Friends will be held on Saturday, January 26, 2019 at the Easyford Community Hall from 1-5 pm.